I watch a lot of HGTV. Like if someone I know is purchasing a home the first thing I say to them is not 'congratulations', it's 'have you applied to be on House Hunters yet?' It's a problem. I love to watch House Hunters for the token couple 'must haves' because they are always the same: double vanities, crown molding, hardwoods throughout, and marble/granite countertop. So today I thought we should play with marble. 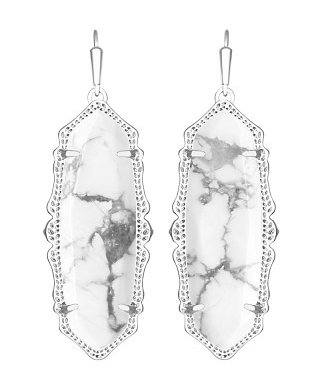 It's a great neutral stone that works beautifully for jewelry. 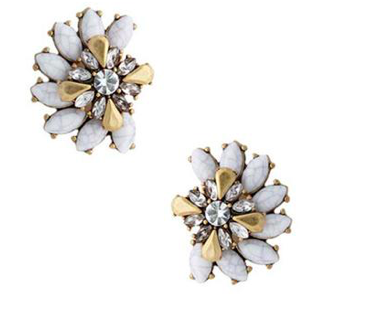 Such a cool statement stud that works for work or play. So stunning. 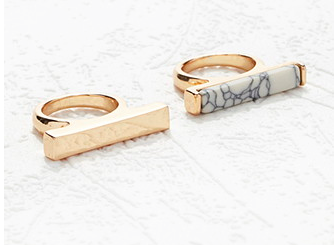 These look like really expensive rings, but for five bucks, they're a must have. 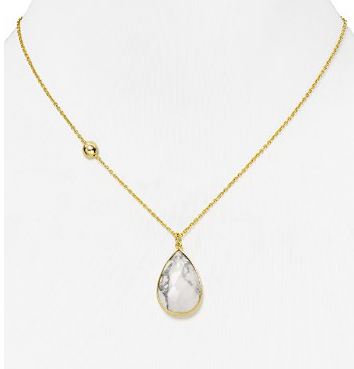 I'm loving the pendant trend this season. This one is different because it sits high on the neck versus a longer chain. Picture these with your hair up and a cashmere sweater in a deep merlot. So stunning. Whether you are an avid HGTV viewer or not, a marble stone is perfect for your counter or your jewelry box.